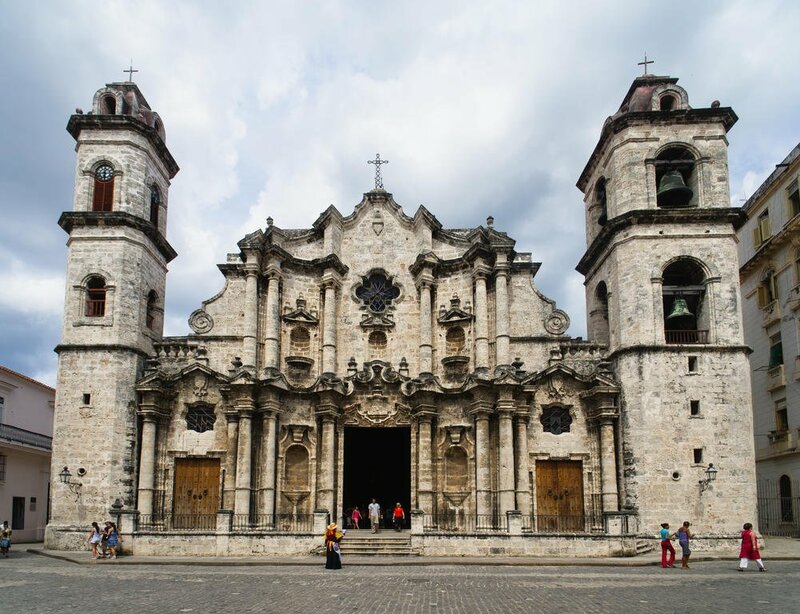 Marked by colorful buildings, classic cars, and trademark cigars Cuba has much to offer anyone willing to dive into its rich, palpable culture.Explore Old Havana’s cobblestone streets lined with vintage cars and restored architectural gems. Relax with a cup of coffee at one of the charming cafes around the square. If you’re a history buff, you’ll want to visit to Museo de la Ciudad, then perhaps stroll over to Castillo de la Real Fuerza, a 16th century fortress built to fend off attacks from pirates. This incredible structure features a moat and drawbridge, a mediaeval scene come to life! 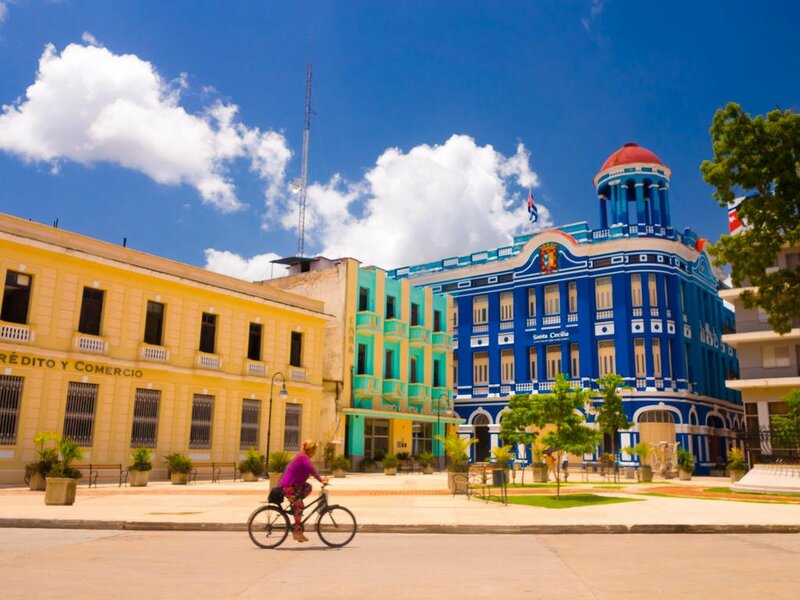 Enjoy a concert and meet locals in Plaza de Armas, a major social gathering place for more than five centuries.On the Caribbean coast of southern-central Cuba, the colonial town of Cienfuegos was once a hub for trading sugar cane, tobacco, and coffee. Enjoy the city’s panoramic Parque Central. Visit the Palacio del Valle and the Tomas Terry Theater, an architectural jewel of the nineteenth century.When in Trinidad, stop by the famous Potters House, a family-owned pottery shop, where each piece of pottery is produced to help reconstruct and preserve Trinidad’s tourist areas. Then enjoy a traditional cocktail at the nearby bar La Canchánchara.Plaza ViejaLocated in Old Havana, Plaza Vieja was built to be an alternative to Plaza de Aramas, in 1559, and was originally called Plaza Nueva. 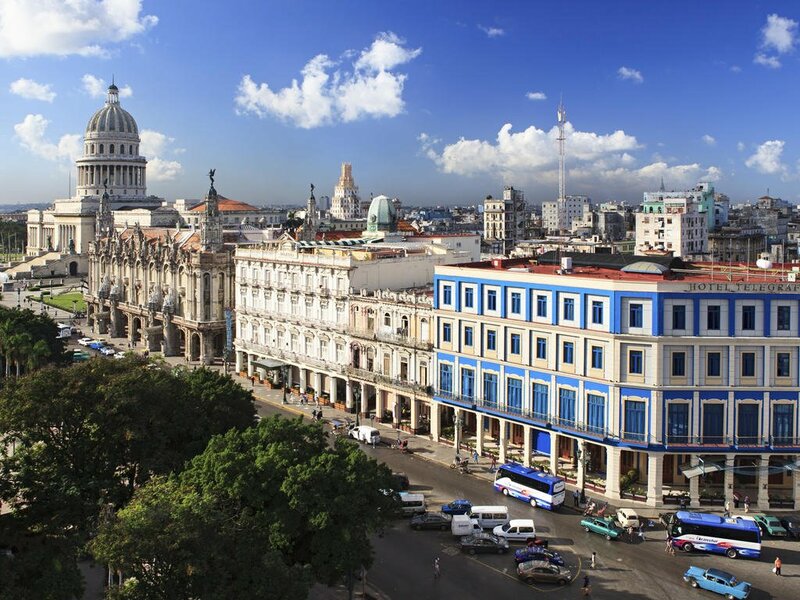 Then in the 18th century, the square became a popular market called Plaza del Mercado and served as Havana’s commercial hub. Then, in 1814 when Mercado Nuevo emerged in Plaza del Cristo, the Plaza Vieja was given its new and final name to distinguish it from the rest.El Museo del RonLearn about the origins of Cuba’s most famous beverage and experience the rum making process in real-time at this fascinating museum. Located in Old Havana, the museum is inside an 18th century townhouse. Learn more about Havana’s Rum Museum here.Hemingway HouseHemingway wrote two of his most famous novels in this home: For Whom the Bell Tolls and The Old Man and the Sea. After his death in 1961, the Cuban government took ownership of it, and after years of neglect, the home was finally restored. Generally Cuban electricity is 110V and the standard frequency is 60 Hz. The outlet is the American-style flat two-pin plugs, except in certain large hotels where the European round two-pin plug may also be found. Some hotels have 220V and round sockets. 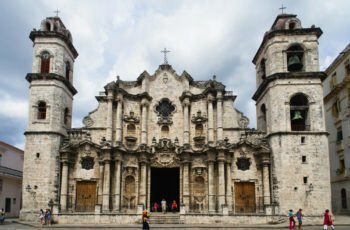 With a somewhat weird two currency monetary system and a very unique political/social situation Cuba's foreign currency exchange can appear a bit daunting for a first time visitor, but with some basic info most people should be able to grasp the essentials without too much trouble. 2-The second legal currency in Cuba is the simple and lowly Cuban Peso, CUP, which is rarely used by the vast majority of tourists, but it’s still something you should know about as it is perfectly legal for tourists to use it. 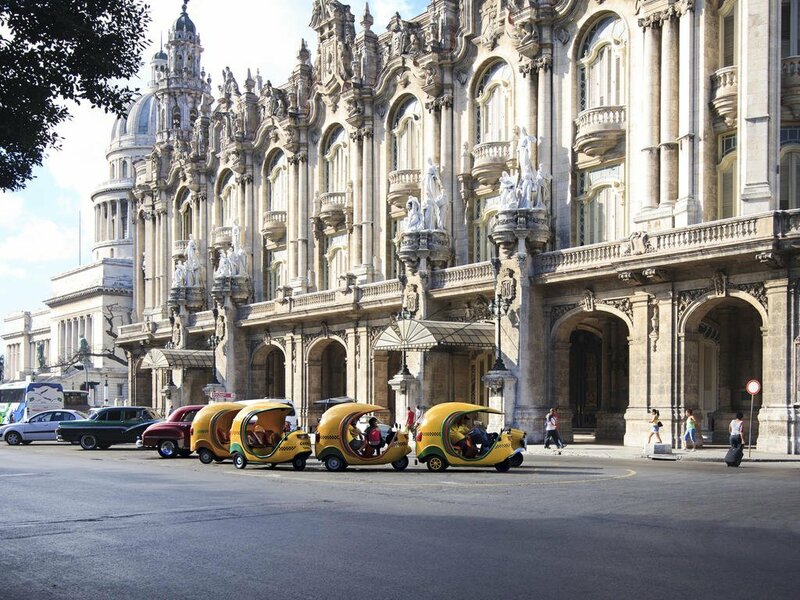 For example, you can pay the ride in old taxies anywhere in Cuba in CUP. They cost between 10 CUP and 20 CUP per person depending on the distance and destination. However, you can pay for the service in CUC as well. Just be aware that there is no way to pay 10 CUP in CUC, so that will cost you 50 centavos CUC, which is 12 CUPs. You can also use CUP in local shops where Cubans buy their provisions. Outside of a resort or hotel when you're travelling independently it’s always handy to have a few Cuban Pesos on you. You get about 24 of them for 1 Convertible Peso. US Dollars are no longer accepted in Cuba and visitors will be charged 10% commission on exchanging them. In the 1990s, Cuba decided to slowly get rid of its Dollar reserves, banning the currency from general use and introduced the replacement CUC as a convertible currency under its control. CUCs cannot be purchased or exchanged outside of Cuba. Cuban nationals continue to be paid in the Cuban Peso (CUP; symbol CUP$ or $). In some tourist areas, the Euro is also accepted. Hard currency (ie CUCs not CUPs) must be used in most transactions. 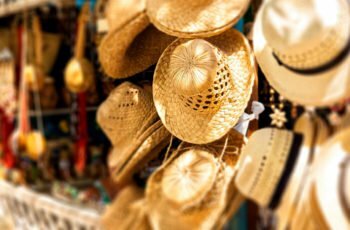 Authorized travelers returning from Cuba are authorized by general license to import as accompanied baggage up to $400 of merchandise acquired in Cuba for personal use, $100 of which may be alcohol or tobacco. 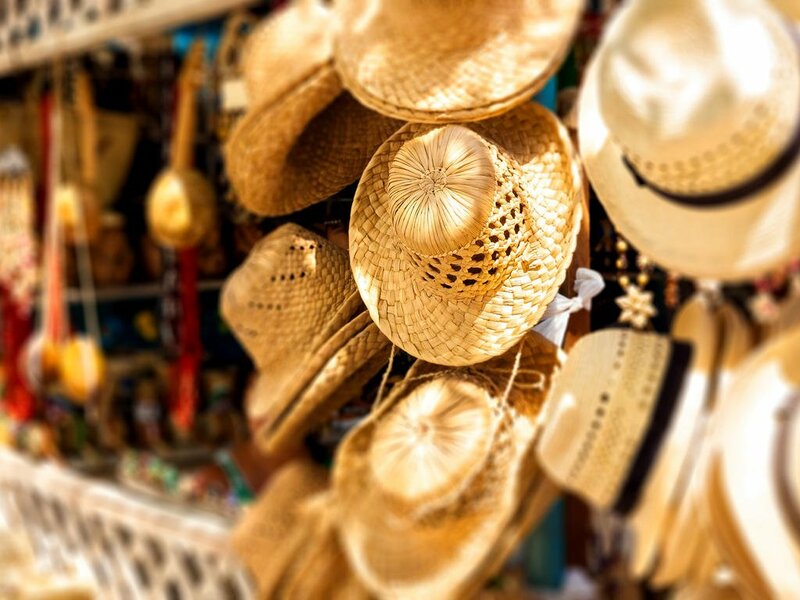 Additionally, and separate from the $400 limitation, persons subject to U.S. jurisdiction are authorized by general license to import certain goods and services produced by independent Cuban entrepreneurs. MasterCard and Visa are increasingly accepted, provided they are NOT issued by a US bank, or a bank with links to the USA, but hefty fees are often added. Most restaurants and paladars are NOT able to accept Credit Cards; they are mainly accepted in State run facilities such as supermarkets or gas stations. ATMs are more common but not ubiquitous. However, cash can be obtained in banks and Cadecas with NON-US Visa debit cards. Tap water is not safe to drink. Bottled water is ubiquitous, but boiling water is recommended to limit plastic waste. Milk is pasteurised and dairy products (with the exception of some cheap ice creams) are safe for consumption. Local meat, poultry, seafoods and fruit are generally considered safe to eat. Surprisingly for an island so rich in marine life, fish and seafood rarely top the menu – most seafood is exported. Cuisine is a mix of Spanish and Afro-Caribbean, heavily reliant on rice, beans, chicken and pork. Depending on the season, fresh vegetables may be hard to come by – as a rule, the hotter the month, the more limited the selection. Furthermore, flavours are limited by the lack of available herbs and spices and many visitors are surprised that Cubans shun spicy food of all kinds. Food preparation relies heavily on the frying pan and deep fat fryer. Some of the best cooking, and often an illegal lobster or two, is found in paladares (small, private restaurants). In state-run establishments, service can be painfully slow and sometimes even surly. Simply put, Cuba has a fantastic climate for adventurers, travellers and tourists alike. Cuba can be described as moderately subtropical with 2 seasons. The dry season, which runs from November to April is less humid and cooler, with average highs of 78-84C and lows of 64-68C. Summer temperatures average 89C with high humidity. The average water temperature is a very comfortable 77C along the coast. Hurricane season in Cuba is between June and November, with most storms occurring in September and October. Simply put, Cuba has a fantastic climate for adventurers, travellers and tourists alike. 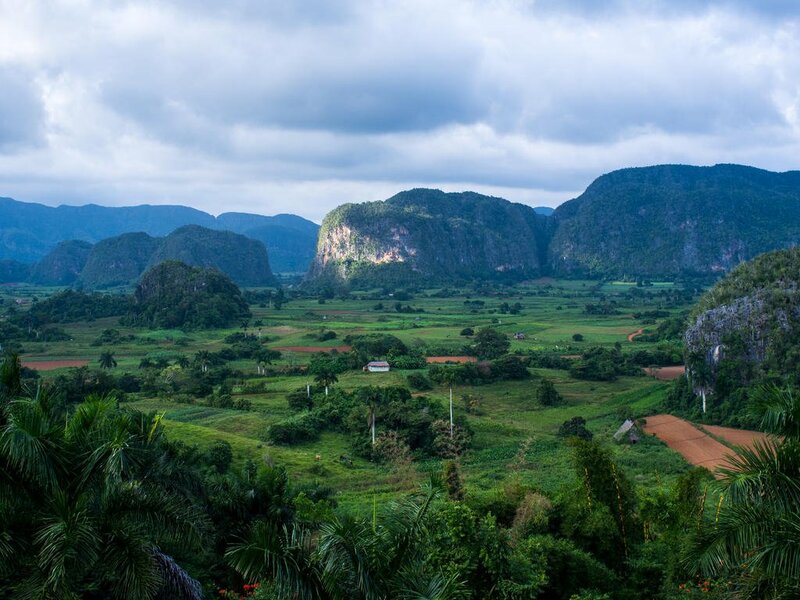 Cuba can be described as moderately subtropical with 2 seasons…. Driving in Cuba is on the right hand side of the road and drivers must be aged 21 or over. Renting a vehicle in Cuba is relatively easy and common among tourists. If you choose to go this route, however, there are plenty of things to keep in mind first if you want to remain in one piece on the road. All car hire companies are state-owned. Prices are negotiable up to a point, but expect to be delayed when picking up the vehicle. It may be easier and has proven to be cheaper to book car hire through a specialist tour operator in your own country.When picking up the car, be sure there is a spare tire and jack, and consider snapping a date-stamped picture of any existing damage to avoid disputes upon drop-off. A valid national driving licence will be required. By most accounts, driving in Cuba can be rough. This is due in part to the poor conditions on many secondary roads, which can be narrow, winding and riddled with potholes. Add to this the lack of adequate street signage and you've got a confusing and potentially dangerous situation. Driving at night can be particularly risky since many roads are poorly lit (or not lit at all). Additionally, it's not uncommon to come around a bend and find pedestrians, cyclists or even livestock in the road, so drivers should exercise caution. Another thing to look out for is traffic lights, which are often placed to the far corner of intersections. This can be hazardous because if you're not expecting to come upon one, you may find yourself stopped dangerously in the middle of the crossing. 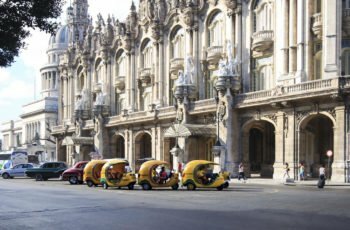 Knowing the dangers of actually getting behind the wheel in Cuba, it's not surprising that many tourists choose to use taxis to get around instead. There are certainly plenty available for hire, but should you choose this particular mode of transportation, take into account the following so that you do so safely. First and foremost, avoid taking rides with unlicensed taxis. They are often driven by thieves who are out to pick up and rob passengers. Be particularly careful of fare amount when hiring a taxi, especially in Havana. If possible, ask someone who is native or at least familiar with the system how much the fare should be prior to heading to your destination. This way you will know beforehand how much the driver should be charging you and can avoid be scammed out of an exorbitant fee by a dishonest driver. If you can't confer with a local, insist that the meter be used to remove any doubt. One of the more unique types of transportation in Cuba is the "Co-Co" taxi, a three-wheeled vehicle that is generally yellow in color and contains a flimsy hood. These are basically just glorified motorcycles that have been modified to carry passengers. Because they can reach speeds of up to 40 mph and lack any sort of safety features, including seatbelts, "Co-Co" taxis can be pretty dangerous. They are, nevertheless quite popular with tourists so if you choose to ride on one, be aware of the risk. 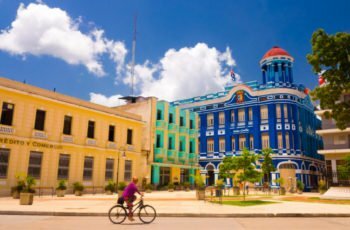 The lack of traffic makes Cuba a popular choice for cycling tours. Bicycles can be rented in Havana from a number of bike hire companies. There are a number of options when it comes to bus travel within Cuba. Many are specifically designated for tourists and travel conveniently within and between cities. This mode of transportation is pretty reliable and clean, although some of the more heavily used buses are beginning to show their wear. One thing to keep in mind when selecting bus as a mode of transportation is that they can be quite crowded and therefore can be haven for pickpockets. Keep your valuables well concealed and bags zipped and stored in front of you, just in case. Travel by train is not the most reliable form of transportation in Cuba, mainly due to the lack of quality equipment. Still, there are a few dependable train lines that run between Havana and Santiago de Cuba. 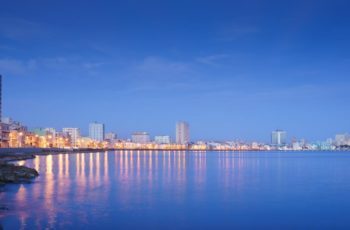 There are also additional lines throughout the country with stops at Camagüey, Santa Clara, and the cities of Manzanillo, Cienfuegos, Sancti Spiritus, Pinar del Rio and Morón. Keep in mind that while a few trains offer first class options, none of them provide sleeper cars. Additionally, food and drink are not typically served so plan accordingly. With the poor equipment quality of many of the trains, you may find yourself stuck for hours awaiting the car's repair. And while aboard, be sure to keep a close eye your belongings. Luggage is frequently stolen from train cars in Cuba. 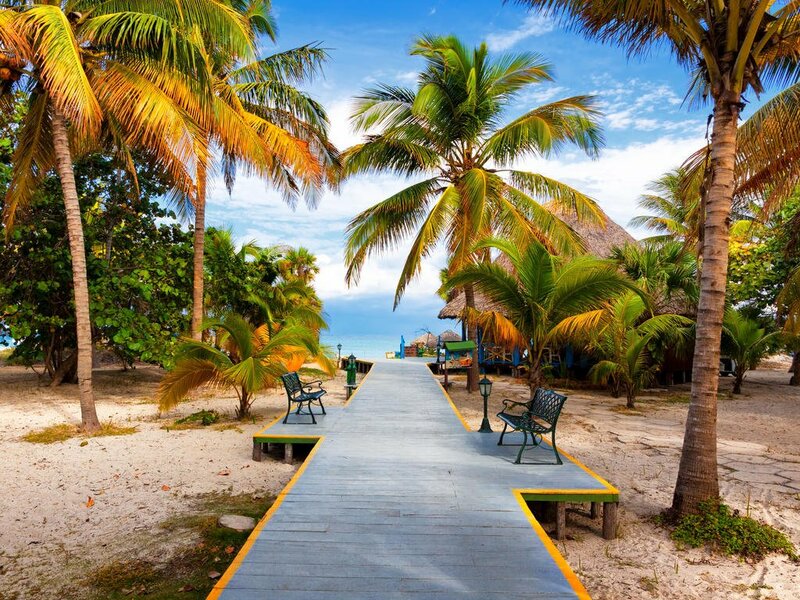 The only destinations in Cuba serviced by water routes are Isla de la Juventud on a daily ferry from Batabanó south of Havana, and Cayo Levisa, as part of accommodation packages to that key off the northern coast. 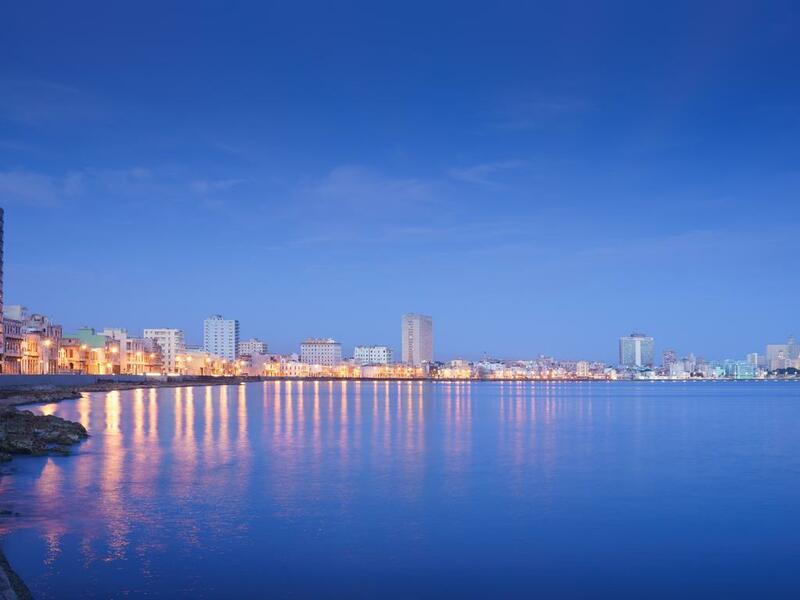 Additionally, there is a commuter ferry crossing Havana harbour several times daily between Havana and Casablanca. 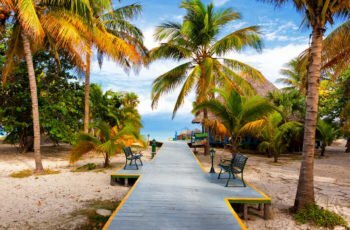 Cuba is a sub-tropical country so pack for summer. Bikinis, shorts, sandals, short-sleeved cotton dresses and shirts are the order of the day. But, bear in mind that Cuban men would never wear shorts in the City! A night out at Tropicana or La Guarida restaurant needs something smart if not overly formal. If you are coming in the winter don’t assume that it will be hot all the time, especially in the evenings. Bring some warm clothing (long sleeves, a sweater or fleece), since there is nothing more frustrating then being frozen to death in a tropical country! Lightweight rain gear is suggested if you are coming in the summer. Cuba is safe in general. We recommend normal precautions be taken as you would for any city in the world. Be aware of your surroundings and stay in well-lit areas. Don’t flash wealth. If you have items of sentimental value, leave it at home. Visitors should avoid all political gatherings and demonstrations. Every foreign passenger entering Cuba must have a passport with a time validity of at least 3 months from the day of arrival in Cuba. A visa is necessary for US citizens. For citizens of most other countries, please check with the nearest consulate/embassy. Make copies of all of your important documents such as passports, driver’s licenses, credit cards, etc. Keep copies with you and back at home. If anything is lost or stolen this will be a lifesaver. Passports must be valid for at least 3 months beyond the intended departure date. Please ensure you have at least three blank visa pages (not endorsement pages) in your passport. U.S. citizens do require a visa. Tourist travel to Cuba remains prohibited. You must obtain a license from the Department of Treasury or your travel must fall into one of 12 categories of authorized travel. Non U.S. citizens should consult with your local embassy. 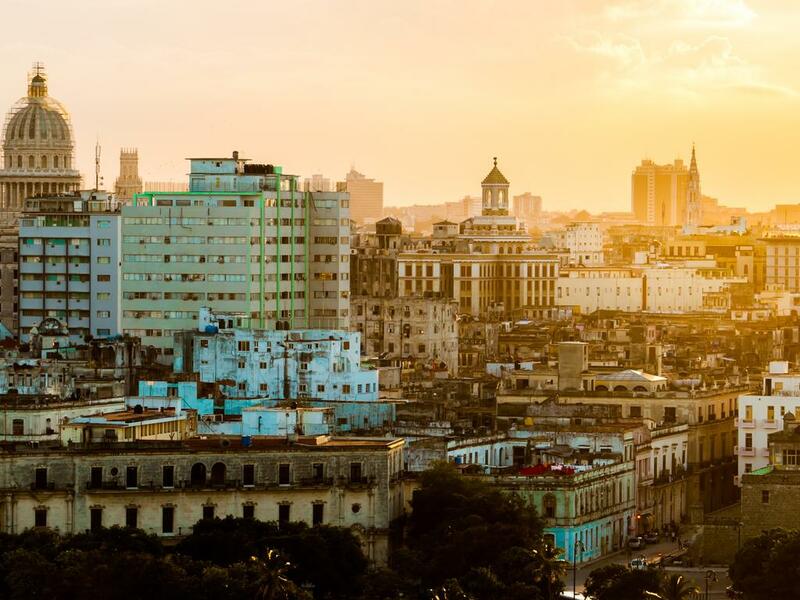 The international access code for Cuba is +53. More than 50 major hotels and resorts across Cuba offer WiFi, with hourly rates varying from CUC$2 to $10 (US$2 to $10). As of January 2016, ETECSA also offers 65 public WiFi hotspots. WiFi access costs US$2 per hour. Like at the telepuntos, you need to purchase an access ticket from ETECSA before you can log on to the WiFi network. 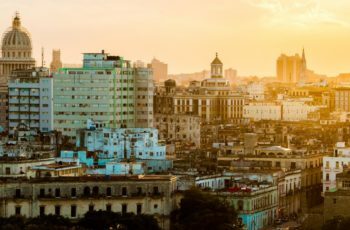 Some U.S. carriers have or are beginning to make agreements with ETECSA (the Cuban national telecommunications company) to provide roaming services in Cuba. 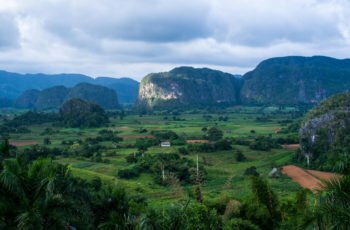 Sprint and Verizon, for example, currently offer roaming services in Cuba. If your carrier offers a roaming plan and your mobile phone is capable of roaming in Cuba, you should ask your carrier about any additional charges for voice calls, data, and outgoing text messages that you may incur during your trip. 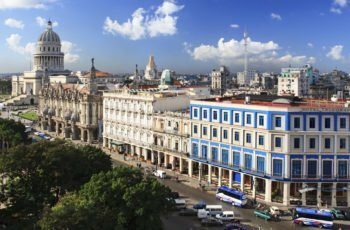 The telecommunications market in Cuba is changing rapidly, so before you travel, be sure to check with your wireless provider for the latest developments. The official language is Spanish. English is not commonly used, so be sure to pick up some basic Spanish words before your trip. Cuba is on Greenwich Mean Time and is the same time of USA Eastern Time Zone. It is our recommendation that the quality of service should determine the extent of any gratuity. We are pleased to provide you with the following guidelines. Please feel free to offer more if you receive superlative service. Important the driver guide or driver will normally remove himself at meal times. However this time can be awkward for both guides and clients so if the clients would like to invite the guide or driver to join them they should make it very clear and would be expected to pay for the meal. Generally there are three options, outlined on the menu. · A Service Charge of x % will apply" – this means what it says, your final bill will be subject to an additional charge; no further tips are necessary. · "Service included" – this means that the prices are a flat rate, no tips are required and the prices are final. Again if the server has been attentive few CUC left on the table will always be appreciated. For excellent or unusual services 1 CUC a day is appropriate. We do suggesting tipping housekeepers on a daily basis, rather than at the end of your stay.